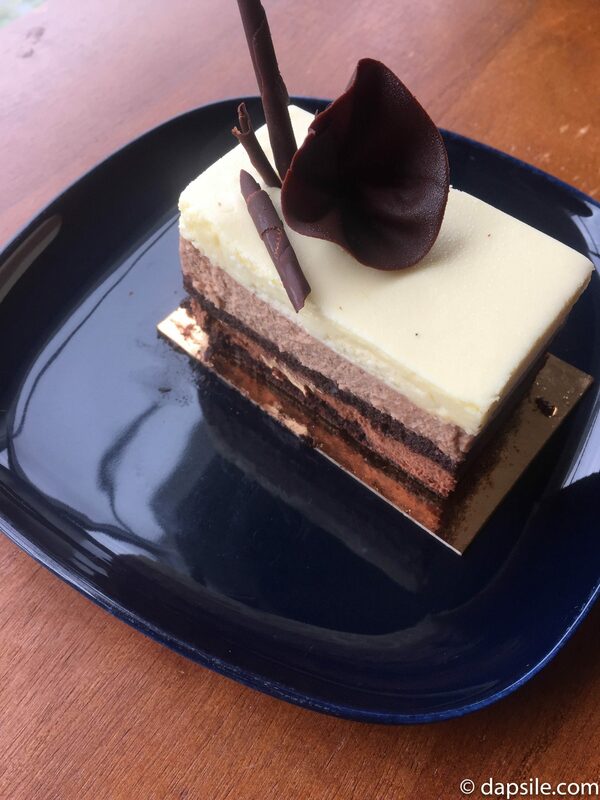 As part of my unexpected foodie year this year, I’ve been visiting different cafes, chocolate shops, ice cream shops, bakeries, and pretty much anything else that serves treats. While I’m trying places all over the Lower Mainland, downtown does have a lot of options. 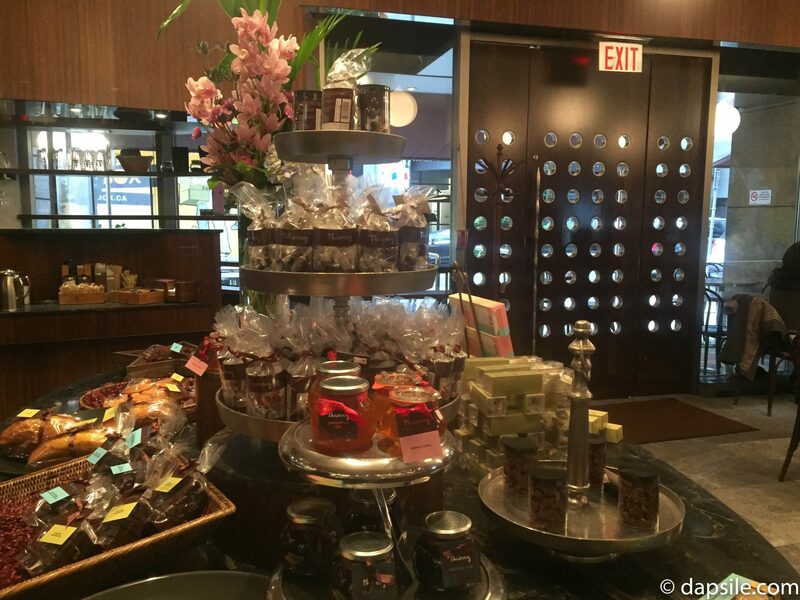 One of them is Thierry café and chocolate shop (website), pretty much right in the main hub of downtown Vancouver, on Alberni Street between Thurlow and Burrard. 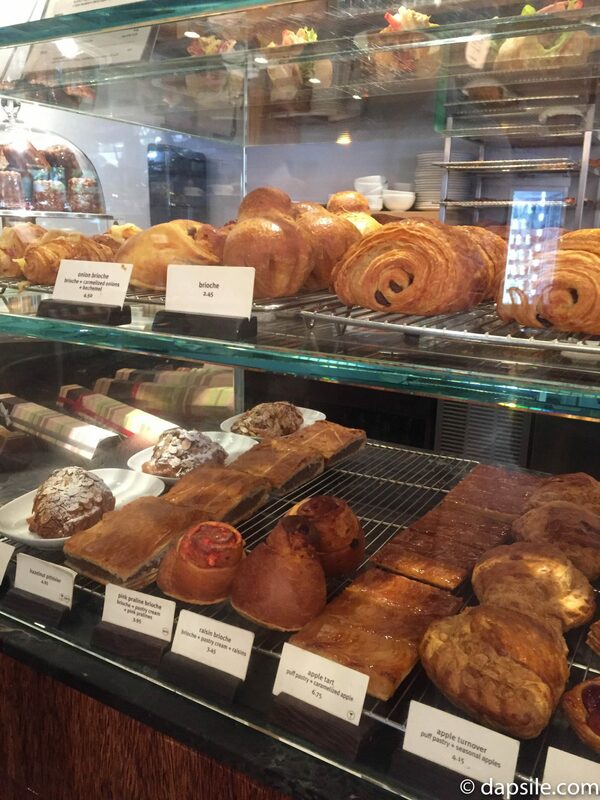 Their website says they are recognized as one of the best coffee houses by Vancouver Magazine. I can’t confirm or deny that seeing as I don’t do coffee or tea but I can tell you I enjoyed every delicious edible treat I tried and every chocolate drink I drank. You can enjoy taking a break to treat yourself with either one of their indoor tables or one of their year-round heated patio tables. Word of warning though, this is a very busy place and every time I have been there, it’s been busy. Like busy enough if can be a bit of a wait for a table. 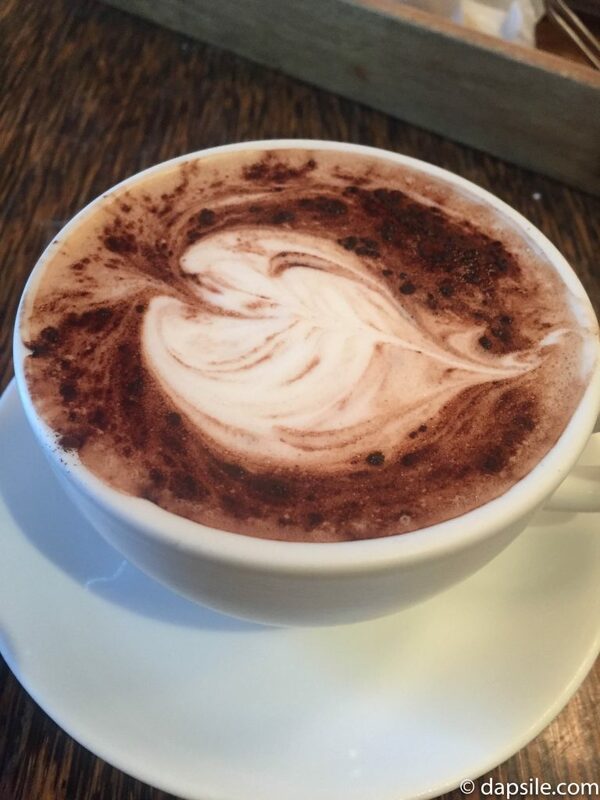 Thankfully for us chocolate lovers, Thierry café and chocolate shop has a few choices of hot chocolate drinks to choose from, and in several different flavours. They also have a cold chocolate drink for cooling down in the heat. The caramel flavoured house blend liquid chocolate was delicious, and a real treat. It wasn’t as thick or rich as Minks’ (see below for that one) but instead it was a wonderful, sweet, hot chocolate drink with a hint of caramel. I loved that it had the additional flavour of caramel. I also really enjoyed it not being overly rich and thick, it made it easier to drink. 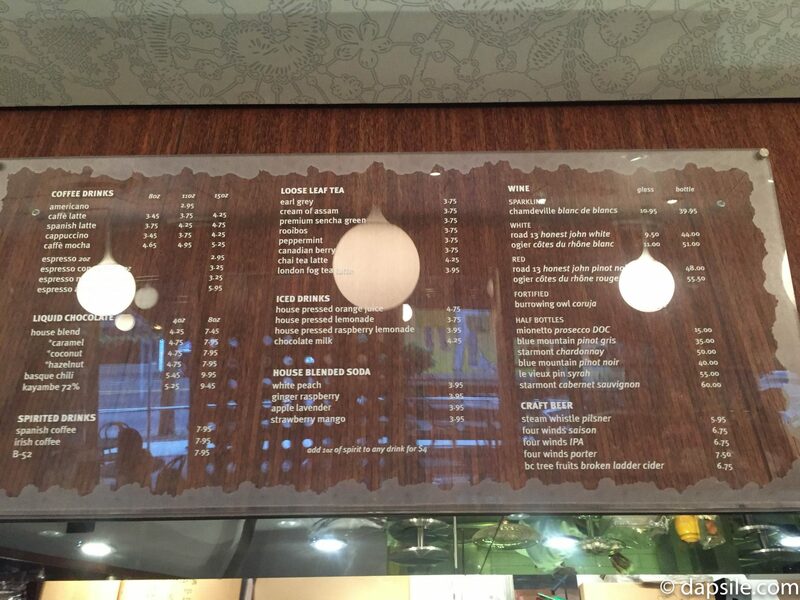 They also have coconut, hazelnut, basque chili, and kayambe flavoured liquid chocolate. I have no idea what those last two are but I don’t like spicy chocolate drinks so I for sure won’t be trying the chili one. I found their regular hot chocolate to be sweet and creamy. Not overly chocolatey but that could be because I had tried their liquid chocolate first and my taste buds were a bit thrown off. I tried it again another day and creamy definitely wins as the strongest flavour but it’s still chocolatey without being overly sweet. 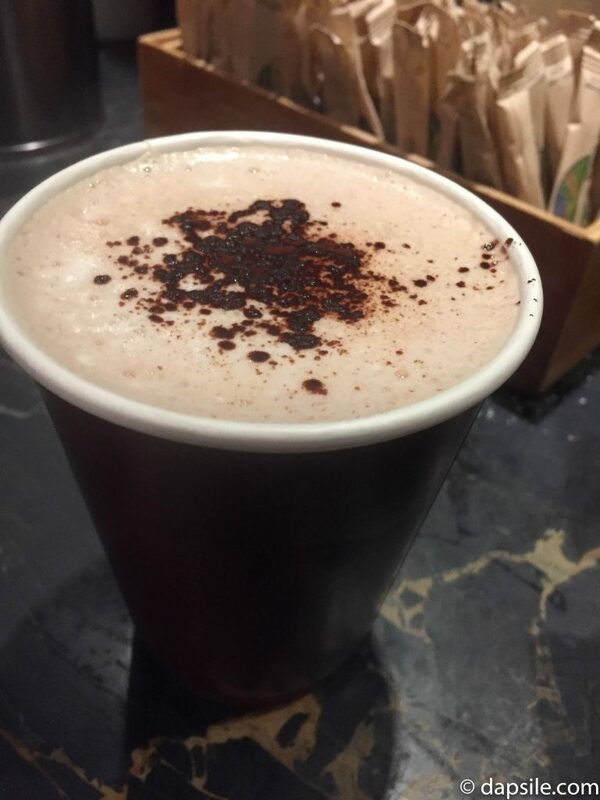 Just know that if you decide to grab a hot chocolate for take-away, it is only available in medium size for that. 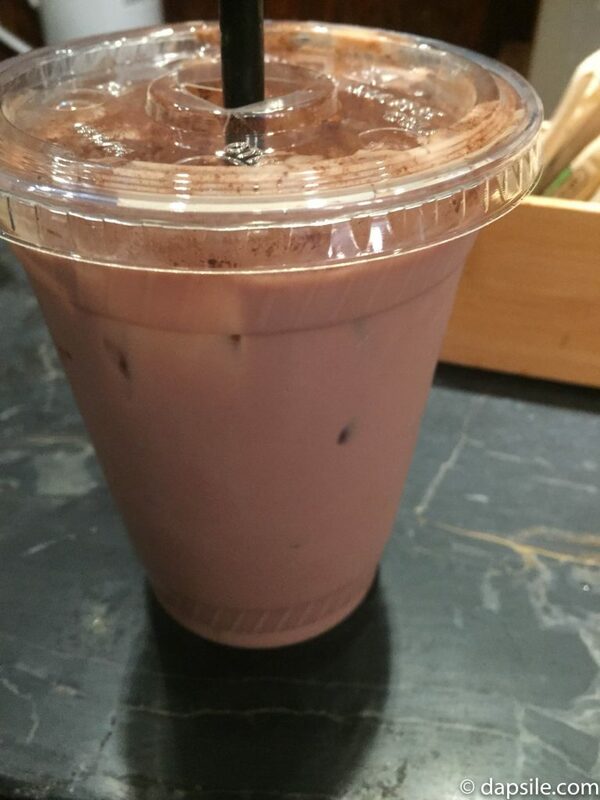 I made a trip into Thierry café and chocolate shop on a really nice hot summer day so I tried their cold chocolate drink offering. Their Iced Chocolate drink in milk chocolate is made with only mocha powder, milk, ice, vanilla, and then sprinkled with cocoa powder on top. It makes for a refreshing cold chocolate drink that is not overly rich, chocolatey, or sweet. I’ve added vanilla to my own homemade chocolate drinks so I know it cuts the rich, bitter chocolate taste to make a mild chocolate drink without it being sweet. 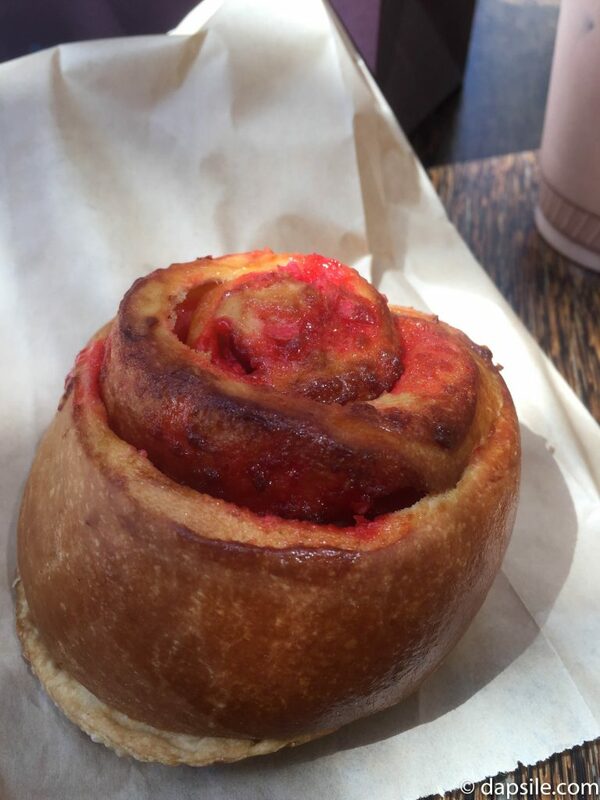 I’ve never had a brioche before but I thought it looked like a cinnamon bun just without cinnamon so I’d give it a try. Turns out it is a type of French pastry which I found to be flaky & buttery like a croissant. There were a few nuts pieces inside, maybe walnut, but it wasn’t very sweet and I couldn’t really taste much praline. It was good and the centre is where most of the sweetness, praline, and nuts were but because I had a misunderstanding of what I was eating, I was a bit disappointed it wasn’t sweeter with more praline flavour. 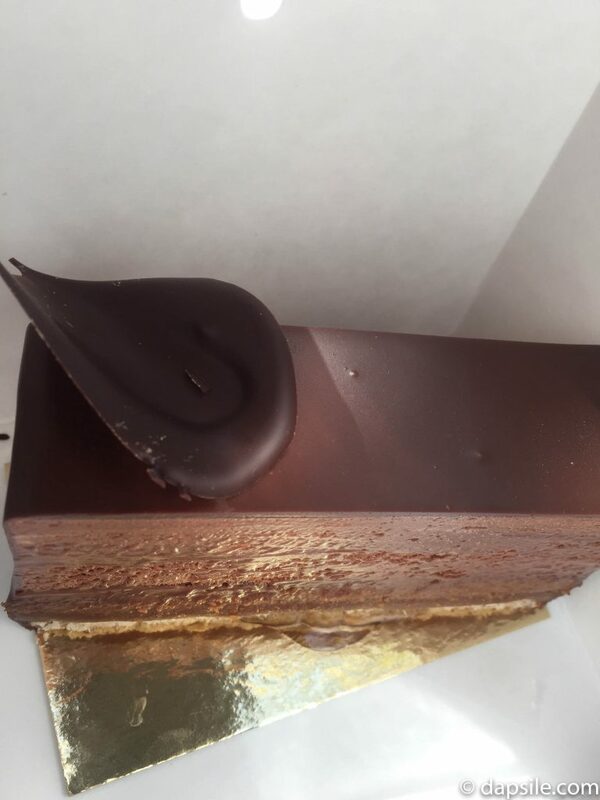 I really enjoyed this light chocolate mousse cake. It had a crunchy base layer, and it was just light and delicious. Unfortunately, I don’t have a lot to say because I ended up eating it really fast. Oooopps! It was so good though. 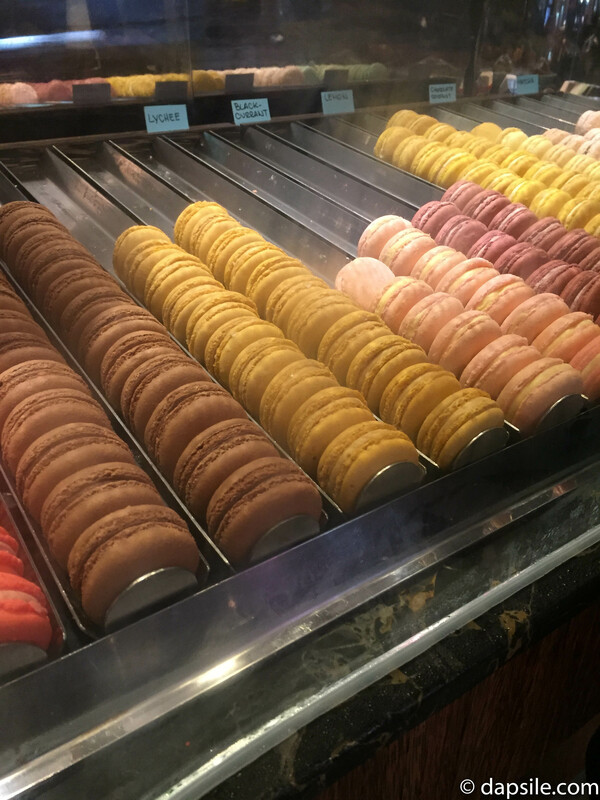 Theirry café and chocolate shop has a pretty good selection of traditional and less traditional flavours of macarons. 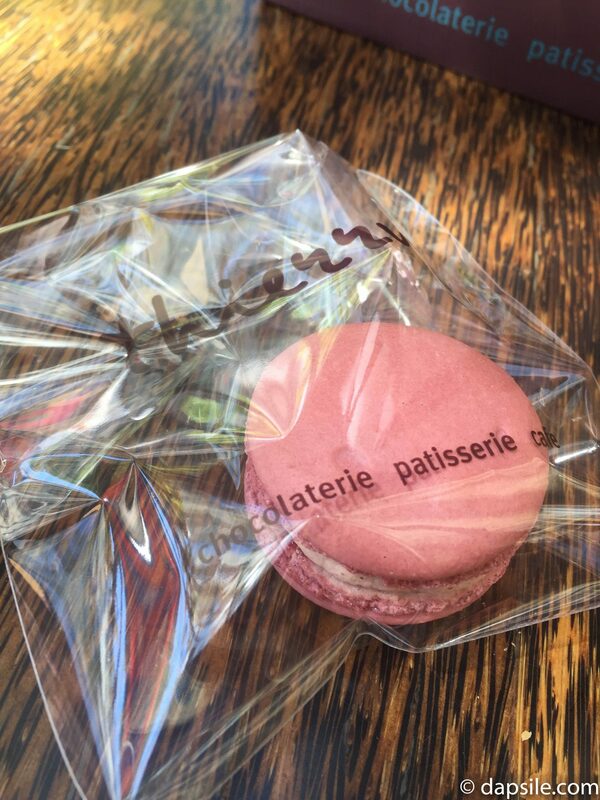 It’s probably me, but I haven’t been able to tell the difference between macarons made at different shops. I find they taste the same. I think this means I have to keep trying more so that I can become more of a connoisseur. But for now, I’ll continue enjoying them everywhere I try them, including Theirry’s. 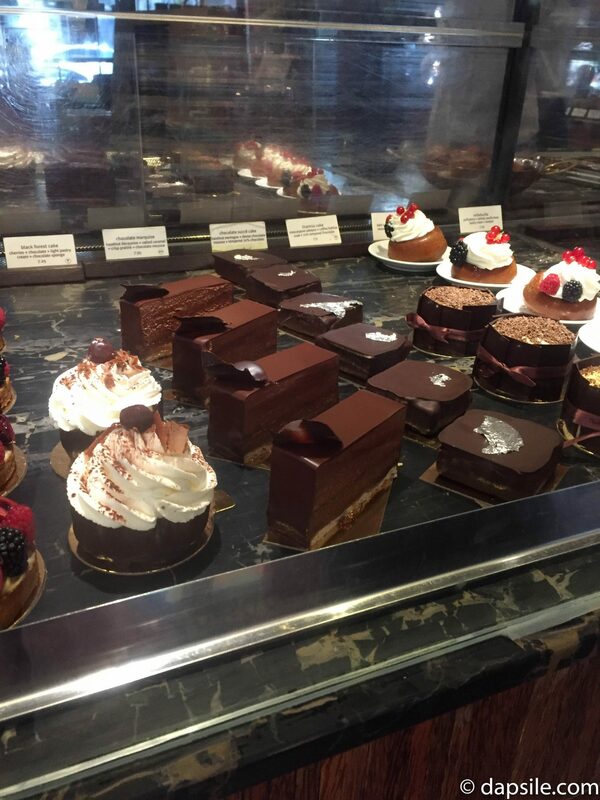 Uummmm, I unknowingly keep choosing mousse cakes when I visit Thierry. 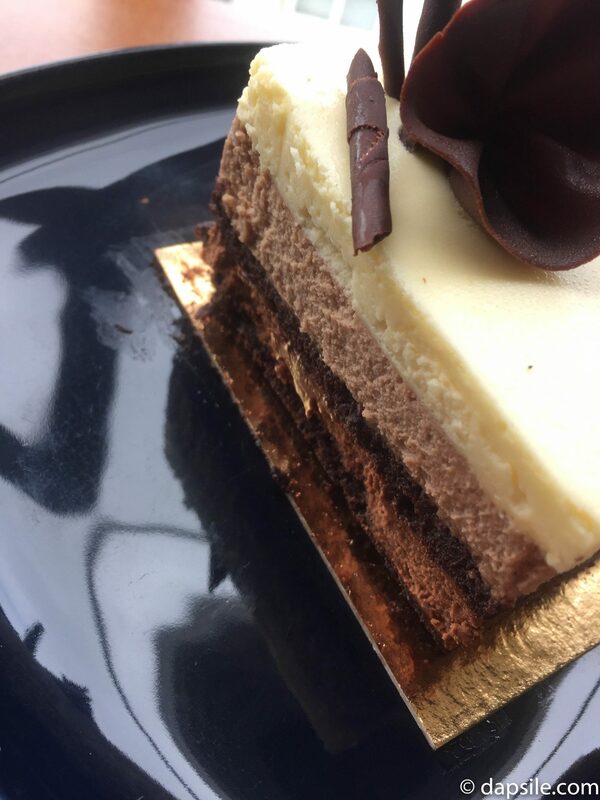 The chocolate trio cake slice consists of a thin layer of cake, a slightly thicker layer of dark chocolate mousse, another thin layer of chocolate cake, before a slightly thicker layer of each milk chocolate and white chocolate mousse. It is such a great mix of flavours and textures. A real light cake treat but with a sugary sweet mix of chocolates. I loved it! Another thing I had never even heard of before, the beignet is like a square doughnut but lighter and less greasy. 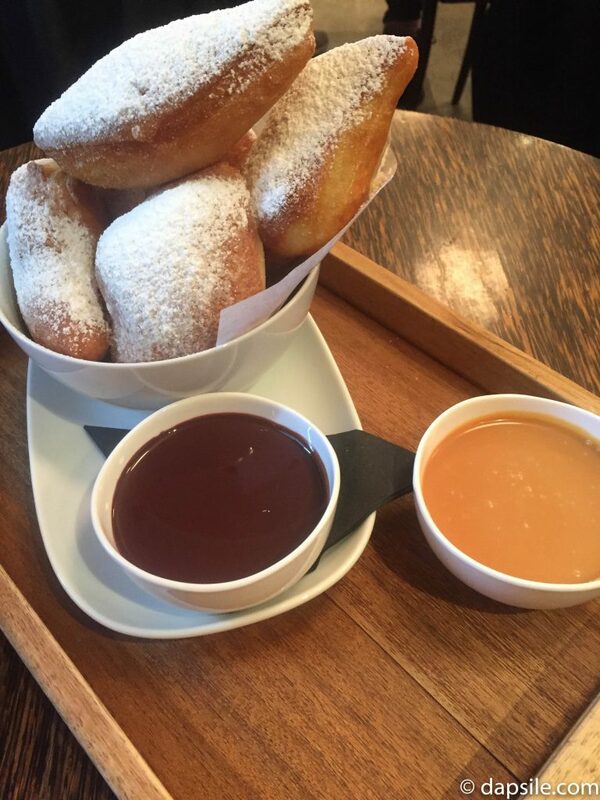 The six pieces were served warm, sprinkled with powdered sugar, and came with two of three sauces. We chose chocolate and caramel sauce (sorry I can’t remember the other sauce offered, I was too excited with the caramel). These were absolutely delicious and very welcome on a cold March day, but six pieces was also a bit too much for two people to share. 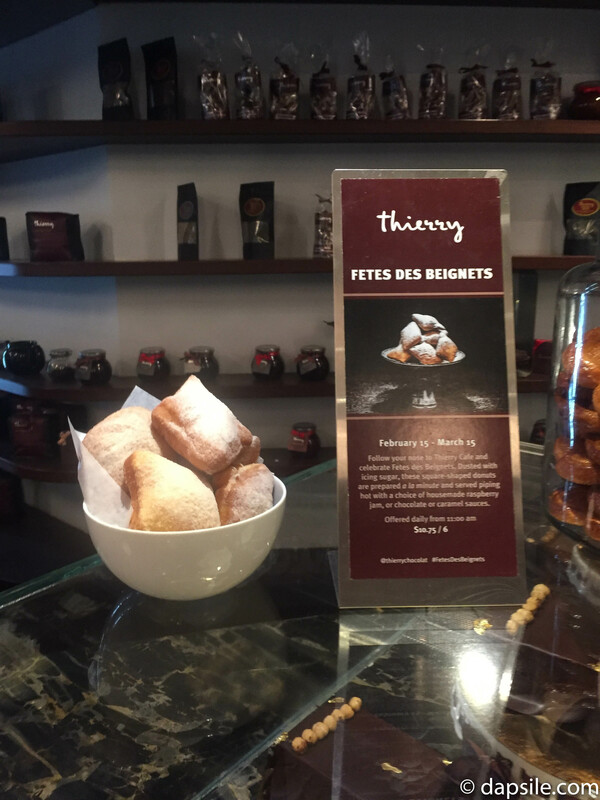 Maybe Thierry café and chocolate shop could offer them as four pieces or I guess I could bring two friends to share with me next time. 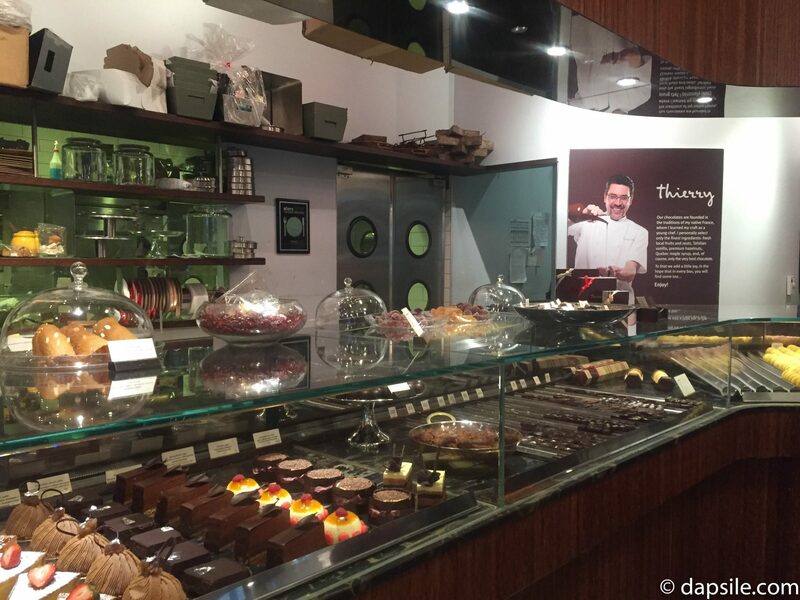 As you can see, I have enjoyed everything I’ve tried at Thierry cafe and chocolate shop so far and I can’t wait to try more of their delicious treats.